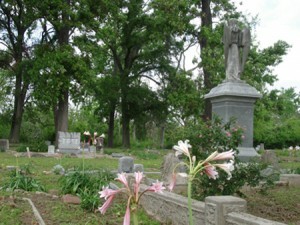 There is almost an infinite amount of work to do in a cemetery that needs restoration and preservation. This is but a small listing of our current projects. 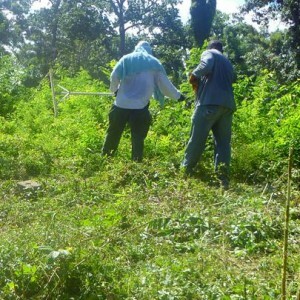 Click here for information on how to volunteer. The fight against nature is our ongoing struggle at Olivewood Cemetery. Several times a month you can find the Descendants of Olivewood in the cemetery with groups of volunteers aiding in cleanup activities. 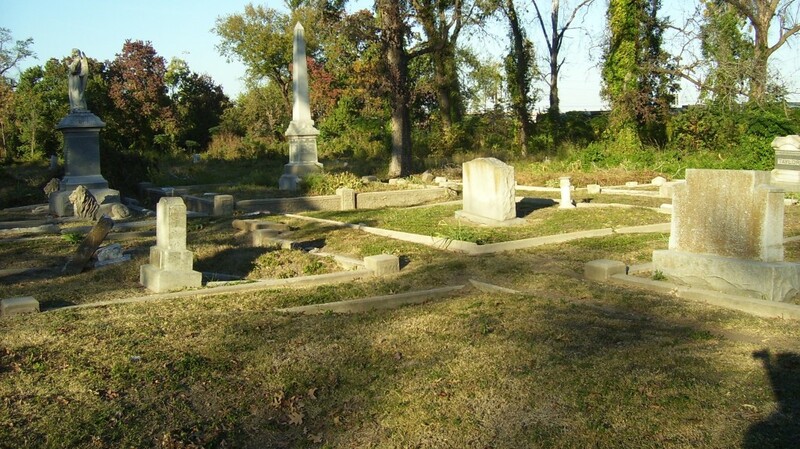 As more and more acreage of the cemetery comes under control with regular maintenance and care, we will be pursuing a program of plot and walkway beautification. 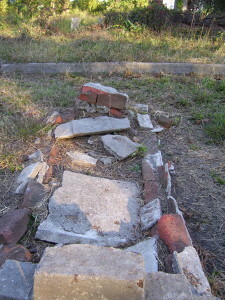 Nature has a history of vandalizing Olivewood Cemetery, in the guise of erosion and hurricane damage. 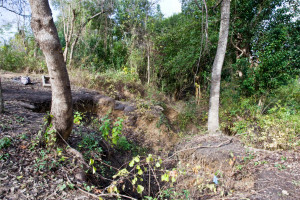 Drainage to White Oak Bayou has taken away several of our gravesites, and Hurricane Ike toppled several old and stately oaks. We’ve had the honor of working with Robert Marcom and Carol McDavid of CARI (Community Archaeology Research Institute) in our effort to save several sets of remains from surrounding erosion. 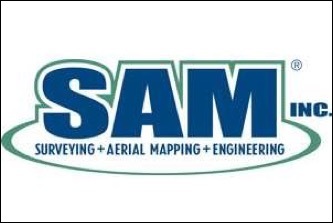 Survey and Mapping, Inc. (SAM) completed a GIS project, creating a high-resolution digital model of the cleared sections of Olivewood Cemetery. This project incorporated the use of Light Detection And Ranging (LiDAR) imagery. 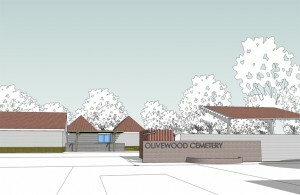 Our long-term plan for the design of Olivewood Cemetery as a cultural center is briefly outlined here.